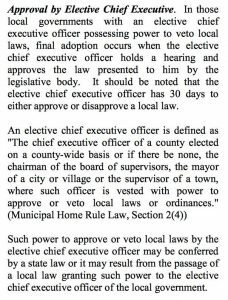 Local Law #3 (Shooting Ranges in Kingston, NY) is Adopted by Mayor Steve Noble. “Over the past few months, the City of Kingston facilitated an open public process to address an antiquated local law that was no longer relevant or appropriate for our community. In doing so, the members of the Common Council, particularly the Laws and Rules Committee, participated in a robust and critical dialogue. I sincerely want to thank our Common Council for taking on this arduous task, for thoroughly and completely investigating the gaps in language in the outdated law and identifying best practices and models to adopt. It is through this process we have before us a comprehensive and effective piece of legislation that protects the rights and interests of all of our residents. Equally as important, I want to thank the members of the public who participated in this process. It is not easy to believe in something with such passion and conviction and be met with resistance from others who simply will not agree. I cannot offer a simple solution to the complex nature of conflicting values and opinions. All I can do, and will do, is continue to support the rights of each of our constituents to express these differences. I ask that in doing so, we each remember that the person with opposing views is still our neighbor and that a healthy dialogue is built on the foundation of respect and willingness to listen. Before I signed this law, shooting ranges were not permissible anywhere in the City of Kingston. While some will contend that Kingston has historically hosted a number of shooting ranges, we cannot refute the fact that from 1978 until 2016 this activity was not reflected in our law as an allowable discharge of firearms. I signed this law today, not due to fear or public pressure. I signed this law because it is reasonable, appropriate, and quite frankly, it is our duty as leaders in our community to expect a potential new business to meet the standards and requirements clearly outlined in this document. It is my opinion that every law should be so detailed and transparent. I welcome this process as a way to ensure that when we refer to a law, there is no guesswork or vague interpretation involved. Our citizens deserve to live in a City where our laws are practical, well-defined, well-researched, and equitable to all constituents. Please view public comment from both of the Mayor’s hearings this month below. Filmed by Clark Richters of Kingston News. Brought to you by KingstonCitizens.org.